No. 1 singles–Kaui Kennedy, Baldwin, def. Chiemi Powell 6-4, 6-4. No. 2 singles–Kailani Kennedy, Baldwin, def. Michelle Tasaki 6-1, 6-1. No. 3 singles–Elena Hickey, Seabury Hall, def. Cristal Pak 6-1, 6-2. No. 1 doubles–Selena Feike and Kendall Taomoto, Baldwin, def. Jessica Nelson and Alana Battad 6-2, 6-0. No. 2 doubles–Emi Sakumoto and Frances Ibe, Baldwin, win by default. No. 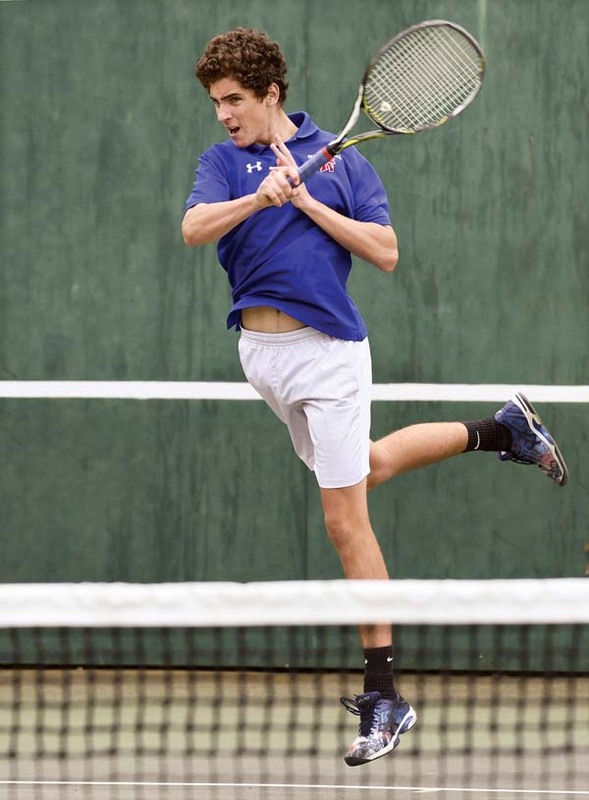 1 singles–Silvan Engert, Seabury Hall, def. Josef Shum 6-3, 2-6, 6-2. No. 2 singles–Aden Kinoshita, Baldwin, def. James Kim 3-6, 6-3, 6-3. No. 3 singles–Malachai Bullock, Baldwin, win by default. No. 1 doubles–Cody Sears and Nicolas Wittenburg, Baldwin, def. Jacob Keyser and Braden Mishimoto 6-2, 6-3. No. 2 doubles–Jonathan Saito and Axel Kibby, Baldwin, def. Ujaia Cunningham and Kazutaka Linuma 6-0, 6-2. No. 1 singles–Kiana Bell, Lahainaluna, def. Lesly Vanessa Gabriel 6-2, 6-1. No. 2 singles–Challys Pascual, Lahainaluna, def. Tammy Abrew 6-0, 6-0. No. 3 singles–Caitlin Baclay, Lahainaluna, def. Nadia Prones 6-0, 6-0. No. 1 doubles–Deolian Domawa and Ana Rodriguez, Lahainaluna, def. Toa Siua and Elise Rodriguez 6-0, 6-0. No. 2 doubles–Kahealani Garcia and Leilani Esperanza, Lahainaluna, def. Cheyenne DeLeon and Caitlin DeLeon 6-0, 6-0. No. 1 singles–Kyle Killett, Lahainaluna, def. Tyson Wu 7-5, 6-0. No. 2 singles–Shane Ramos, Lahainaluna, def. Evan Essner 6-2, 6-2. No. 3 singles–Kekailoa Cujudoy, Lahainaluna, win by default. No. 1 doubles–Shawn Abut and James Fujii, Lahainaluna, def. Khoa Le and Kaimana Baker 6-1, 6-1. No. 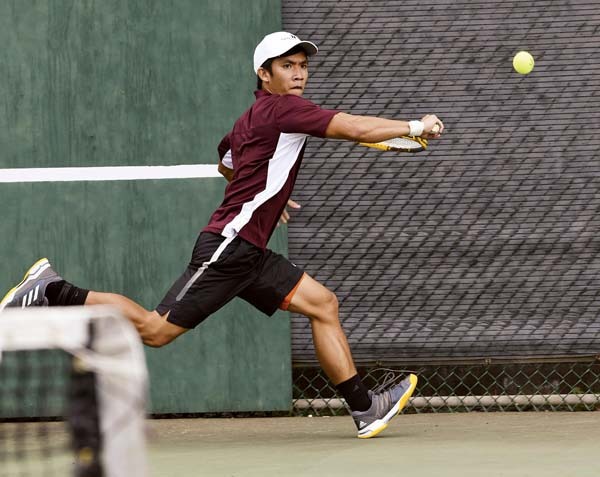 2 doubles–Alex Rodriguez and Joshua Calaogan, Lahainaluna, win by default. Standings–Celine’s 18, Francine’s 17, Ipo’s 17, Lee’s 15, Fred’s 14, Cindy’s 14, Rich’s 13, Wesley’s 4. High series (handicap)–Brian De Ponte 631, Tan Altinbay 605.